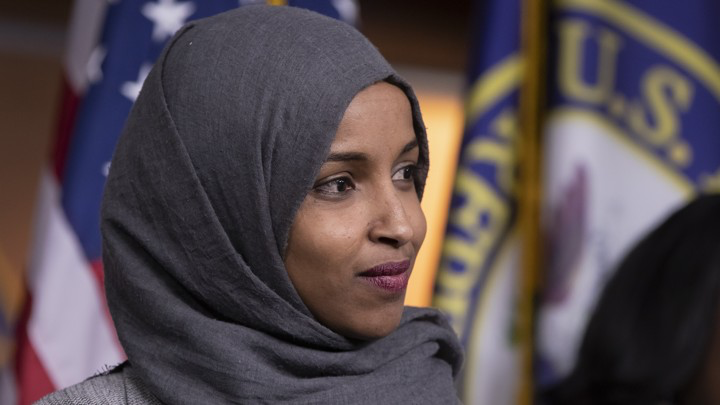 Time for open dialogue about the "Omar furor"
Recent comments from Junior Congresswoman Omar have been followed closely by speculations about, debates around, defenses of, and criticisms of these comments. Everybody is talking, but it doesn’t seem as though they are talking with each other – at least as much as they should. Aziza Hasan weighs in with comments featured in The Huffington Post, WRAL, The Independent, and Cecil Daily, among other outlets. NewGround executive director Aziza Hasan recently spoke with The Atlantic‘s Emma Green about partisanship, dialogue, and our inclinations toward and against giving one another the benefit of the doubt. You can read the full article, titled “The Fight over Ilhan Omar is a Fight over the Democratic Party” by following the link. After the horrific events at Tree of Life Synagogue last Fall, the Park City Muslim community raised over $240,000 for the victim’s families. One Temple in the area – Temple Har Shalom – seeks to address this. Long-time NewGround friend and 2019 NewGround Trailblazer Rabbi Reuven Firestone, who holds the Regenstein Chair in Medieval Judaism and Islamic Studies at Hebrew Union College, is slated to give the Temple’s annual scholar-in-residence lecture this year. He aims to focus his talk on Islam and democracy. NewGround board member Halim Dhanidina grew up in Southern California, attending Pomona College and UCLA, where, years later, he would become the state’s first ever Muslim judge. Just this year, he was appointed to the state Court of Appeal, making him the assumed highest-ranking judge in the country. PBS NewsHour Weekend reunited with Judge Dhanidina this Fall at NewGround’s Spotlight Storytelling event to talk sectarian rhetoric and pluralism. You can access the full article here. "NewGround Shares Muslim & Jewish Stories"
This year, our Spotlight Storytelling event tackled themes of risk. Written by NewGround alum and Jewish Journal staff writer Ryan Torok, this piece is perfect for those who were unable to join us this year for our annual Spotlight storytelling event, held at the IMAN Cultural Center in West L.A. Read about the tales shared by our storytellers, which range from transitioning between Buenos Aires and the United States, to disagreements over LGBTQ+ identity in Israel and the Middle East. Unconcerned about Voting? let's have a talk. In her latest op-ed for the Sacramento Bee, Aziza recalls the foundational practices upon which NewGround was constructed with the full knowledge that their catalysts can still be readily seen today around the issue of voter engagement. The answer to this question was direct conversation. Each and every concerned individual had to have their concerns and frustrations addressed “head-on,” for as Aziza puts it, “there is no substitute for one-on-one conversation.” You can read the full article here, and you can find Aziza’s contributions to the Bee‘s Influencer series here. Aziza Hasan, our Executive Director, has been busy these past few weeks representing NewGround as a key partner in creating change in Los Angeles. On October 12th, Aziza attended Mayor Eric Garcetti‘s Second Annual State of Women & Girls Address this morning. Additionally, on October 10th, Aziza gave an inspiring invocation to 540 attendees at the 32nd Productivity and Quality Awards for Los Angeles County supporting Innovating for Impact! We are proud to be a part of this event, honoring the many amazing LA County departments doing vital work to improve the lives of so many. Finally, NewGround was present at the Islamic Center of Southern California‘s Open Mosque Day this year. Aziza was asked to speak on the tools needed to have difficult conversations; her remarks were part of a larger program around getting people energized and drawing us out into conversations and greater civic engagement. The day was organized by the Islamic Center of Southern California and the Guibord Center: Turning Religion Inside Out. Aziza took lead on one of the afternoon’s special programs alongside Jason Chu, during which they helped the audience reframe their statements to remove the sting that may accompany them. Last Sunday, executive director Aziza Hasan spoke before Lieutenant Governor Gavin Newsom at a town hall in Baldwin Park City. The event was attended by Congresswomen Rep. Grace F. Napolitano, members from LA Voice, Pico California Leaders, and Baldwin Park City Council, among others. Introduced by Umar Hakim, NewGround alum and the current board chair of LA Voice, Aziza decidedly grounded the event in faith and justice. She spoke of the many Muslims who fast on Ashura to commemorate the safe passage of Moses and the Israelites from the oppressive tyranny of the Pharaoh, and she emphasized our need to walk alongside each other and see the suffering of the other in order to approach difficult conversations with compassion. The NewGround mission is unique in that it exclusively works to foster relationships and dialogue between various different parties, whether they be communities or individuals, across Los Angeles Muslim and Jewish communities. In the recently published “U.S. Muslims Increasingly Harassed for Working With Jewish Groups, Activists Say,” Haaretz reporter Debra Nussbaum-Cohen speaks with NewGround executive director Aziza Hasan and board member Brie Loskota on addressing issues of contention among communities and groups and moving forward in spite of the difficulties that they bring with them. Read Aziza and Brie’s full comments on the state of dialogue between communities on haaretz.com. Each year, NewGround is proud to manage two programming initiatives: our professional fellowship and our high school leadership council. This past year, one of our fellows wrote an op-ed detailing one of the many risks taken over the course of the program. Published by the Jewish Journal, his piece describes the development of his relationship with a Palestinian fellow Change-maker. You can read Rabbi Zachary Zysman’s article in full here. If you want to hear more stories involving risk, you can read about our Spotlight 2018 storytelling event here. The Sacramento Bee, reporting on Californians who do not show up at the polls on Voting Day, turned to community experts for answers as part of a series on “California Influencers.” NewGround executive director Aziza Hasan, named a California Influencer herself, recommends an emphasis on further voter engagement and relationship building in increasing turnout. Read the full article here, Aziza’s comments on California’s changing economy here, and the Bee’s list of Influencers here. On May 31, 2018, NewGround hosted its largest Iftar to date. The Jewish Journal covered the different elements of the event program in an article on “Movers & Shakers,” a series written by NewGround fellowship alum Ryan Torok. Read to find out more about how we opened the evening! Pictured above are NewGround board members Edina Lekovic (left) and Rabbi Susan Goldberg (right) at the Wilshire Boulevard Temple. In following the U.S.-Israel Embassy move to Jerusalem, the Associated Press opens an article on Muslim-Jewish relations in the United States with a conversation with NewGround executive director Aziza Hasan. This article has been featured on the Washington Post, WLNS, and the Times of Israel, among other outlets. NewGround executive director Aziza Hasan speaks at the Museum of Tolerance in April as part of a discussion on “White Anxiety,” the fourth installment in Katie Couric’s America Inside Out. The event was held at the Museum of Tolerance and covered by the Jewish Journal. Yahoo News and Ozy publishes a profile of NewGround Executive Director Aziza Hasan and highlight her work. In addition to providing background on Aziza’s history with interfaith work, both articles highlight Aziza’s skill of building interfaith coalitions, specifically between Muslims and Jews at NewGround. 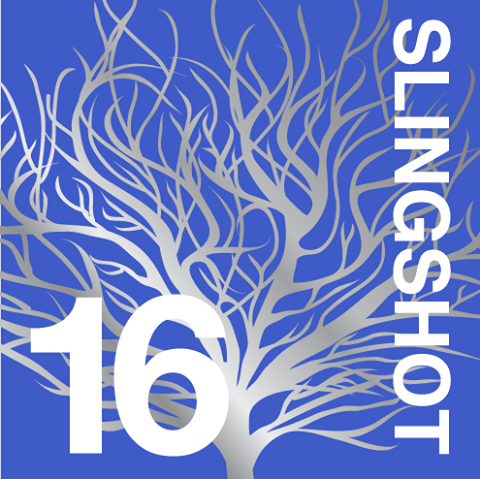 NewGround has been named one of America’s top fifty innovative Jewish organizations for the third consecutive year by Slingshot. We are so honored to have been included in this trailblazing community of Jewish organizations, and would like to extend our deepest gratitude to all of our supporters. We are is especially proud of our fellowship and High School initiatives, were cited as a means of producing “emerging leaders who forge change.” NewGround is excited to continue working toward sustaining the future of Jewish life and engagement, motivating new audiences to participate in their work, and responding to the needs of individuals and communities. An article entitled “2 schools hope to break down stereotypes” weaves the story of the founding of the Jewish-Muslim Day School Exchange program by NewGround Change-Makers Aysha Mehdi and Rebecca Berger. Sinai Temple celebrated the success of the Day School Exchange program in a video that quickly went viral, with over 22,000 views and counting! Over sixty 7th and 8th graders attending Muslim (New Horizon) and Jewish (Sinai Akiba Academy) schools learned about the other faith community through more than a text book this year. With the help of NewGround, these schools integrated visits to each other’s campuses to learn firsthand about the practices and practitioners of Islam and Judaism. Click here to learn more about the program. 72_Virgins: NewGround change-makers are debunking stereotypes. The #72Virgins change-makers are featured on the homepage of the Huffington Post Religion website today! KCRW's "Good Food" will feature our 72 Virgins Mocktail Workshops on air this Saturday, May 16th at 11 AM. Sign up here to join the last session on Monday, 5/18. Enjoy a drink recipe here. See how #‎72Virgins and #‎2Faiths1Prayer are touching people all across LA & around the world! Two Faiths, One Prayer: –The Jewish Journal featured the #2Faiths1Prayer change-makers in two moving articles: Groundbreaking Day of Prayer; Fellow Responds to Shootings. Here's a video sneak peak into the experience — stay tuned for an amazing documentary to follow! Click here for more picture & here for reflections from this historic Day of Prayer, as NewGround's current fellows & friends prayed side-by-side publicly across LA. Los Angeles Times: NewGround staffer Saaliha Khan advocates for the need to build on our value of "Curiosity Over Assumptions" to break the pattern of misunderstanding among communities. NewGround Receives “Inter-Faith Leadership Award” From the Valley Inter-Faith Council On May 6th, 2010, 300 community leaders and activists gathered at the Valley Interfaith Council’s annual awards dinner where NewGround was given the “Inter-Faith Leadership Award.” Respected for their great work in the community, VIC audience members included a whole range of Los Angeles City Council members, interfaith leaders, and congressional staffers. In 2013, NewGround was named the “2013 Faith-based Organization of the Year” by Governor Brown of California. The honor is awarded to an outstanding faith-based organization that actively engages volunteers in addressing community needs. There ceremony honoring NewGround was held at the State Capitol in Sacramento and was led by California Volunteers. Even in the easygoing, laid-back environment of modern-day Los Angeles, bringing Muslims and Jews together to talk about the Arab-Israeli conflict is viewed as playing with fire. For decades, “the Muslim-Jewish dialogue that existed in L.A. only took place at the leadership level, among a handful of left-leaning Muslim and Jewish leaders,” recalls Edina Lekovic, policy and programming director for the Muslim Public Affairs Council. When it happened, the conversation would usually stick to religion and stay away from politics. “And then, anytime there was a political conflict overseas it would derail whatever was happening. NewGround featured on “Speaking of Faith” with Krista Tippett. DESCRIPTION: Curiosity Over Assumptions – Inter-Religiosity Meets a New Generation This week, Speaking of Faith shines a light on the friendship and shared passion of two young activists, Jewish and Muslim, who are part of a new generation of inter-religious encounter. Together these young women are implementing templates of practical relationship that value curiosity over assumptions and understand conflict as part of any relationship. Krista Tippett explores what they are learning from their work in the microcosm of Los Angeles – and the larger universe of risky innovation of which they are part. listen to our broadcasts on public radio and the web.” The website telling NewGround’s story can be found here. Previously, Newground Co-facilitators Malka Fenyvesi & Aziza Hasan were busy discussing NewGround’s important work at the Interfaith Youth Core Annual Conference Leadership for a Relgiously Diverse World and J Street’s 1st Annual Conference Driving Change, Securing Peace in 2009. "'Ramadan in L.A.' Seeks to Combat Islamophobia with a Month of Interfaith Iftar Celebrations." LAist. 26 May 2017. "'How Jewish Women's Theatre' New Show Seeks celebrates 'More Courage.'" LA Daily News. 4 May 2017. "Jewish and Muslim Artists Summon Courage Together." Jewish Journal. 3 May 2017. "Jewish and Muslim Writers and Artists Collaborate on New Theatrical Performance and Art Exhibit." Broadway World Los Angeles. 20 April 2017. "Moving & Shaking: “Evening of Inspiration,” Suzy & Wally Marks Jr. Trailblazer Award and more." The Jewish Journal. 13 April 2017. "Muslim, Jewish communities show mutual support through storytelling." KPCC. 11 April 2017. "Growing prejudice in US unites Jews, Muslims." The Durango Herald. 24 March 2017. "Working together: US Muslims and Jews strengthen bonds amid acts of bigotry." The Herald. 23 March 2017. "US Muslims and Jews strengthen bonds amid acts of bigotry." Times of Isael. 21 March 2017. "L.A. Jews, Muslims show solidarity at Shabbat Services." The Jewish Journal. 15 March 2017. "MuJews: Muslims and Jews Band Together against Hate." NBC. 15 February 2017. "American Jews and Muslims Seek to Heal Ties, Spur Israeli-Palestinian Peace." Haaretz. 17 January 2017. "Dealing with Shock." Jewish Journal. 10 November 2016. "Why Muslim & Jewish teens united in Santa Monica." Santa Monica Daily. 21 September 2016. 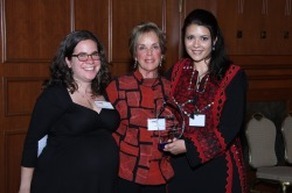 "Moving and shaking: Dodgers, ICRF Women of Action gala and more." The Jewish Journal. 16 June 2016. "Moving and shaking: OUR HOUSE Run for Hope, Religious Pluralism Day and more." The Jewish Journal. 5 May 2016. "2 schools hope to break down stereotypes." KPCC. 17 February 2016. "Mid-Career Artists Need our Support, too." The Canadian Jewish News. 31 January 2016. "Calendar: January 22-28: Muslim and Jewish Community Building in L.A. to be Discussed." Jewish Journal. 20 January 2016. "What It's Like to Fight Islamophobia After San Bernardino." Los Angeles Magazine. 18 January 2016. "WATCH: Jews and Muslims pray together." The Jewish Standard. 17 January 2016. "Moving Tribute to Father." The Jewish Journal. 2 January 2016. "Aziza Hasan Builds Muslim-Jewish Partnerships." Yahoo, Ozy. 24 December 2015. "WSU alumna's interfaith dialogue places her on Obama's Advisory Council." Wichita State University News. 5 November 2015. "Moving and shaking: Janet and Jake Farber honored; Aziza Hasan appointed by Obama and more." The Jewish Journal. 15 October 2015. "Hasan named to presidential advisory council." Bethel College. 25 September 2015. "Obama names 18 new faith-based council advisers." Crux. 26 September 2015. "President Obama Announces More Key Administration Post. "The White House, Office of the Press Secretary. 24 September 2015. "Why one Valley woman is hopeful the U.S. will see a Muslim president." Los Angeles Daily News. 22 September 2015. At Rosh Hashanah and Hajj, bridging two cultures through common roots." The Jewish Journal. Andrea Hodos and Aziza Hasan. 9 September 2015. "Next-gen leaders jump from startups to institutional stalwarts." J Weekly. 13 August 2015. "Breaking Down Stereotypes of Muslims" Leslie Marshall Show, 20 August 2015. KPFK SWANA Region Radio Features NewGround, KPFK, 13 July 2015. "Andrea Hodos: Dancing at the Boundaries." Steinhardt Foundation for Jewish Life. 2015. "Muslims and Jews Forge Friendships Over Dinner." Jewish Journal. 1 July 2015. "Will Love Win?" By David Suissa, President of Jewish Journal. 1 July 2015. "How I Became the Women's Mosque of America's First Khateebah." Altmuslimah. 26 June 2015. "LGBT Muslims And Jews Break Bread To Find Common Ground At Iftar Shabbat Dinner." Huffington Post Religion. 20 June 2015. "Here's what happens when a group of Jews and Muslims gathered for the most basic gesture of faith." Upworthy. 10 June 2015. "Authentic People Person." Jewish Journal. 10 June 2015. "Building Interfaith Bridges." Jewish Journal. 10 June 2015. 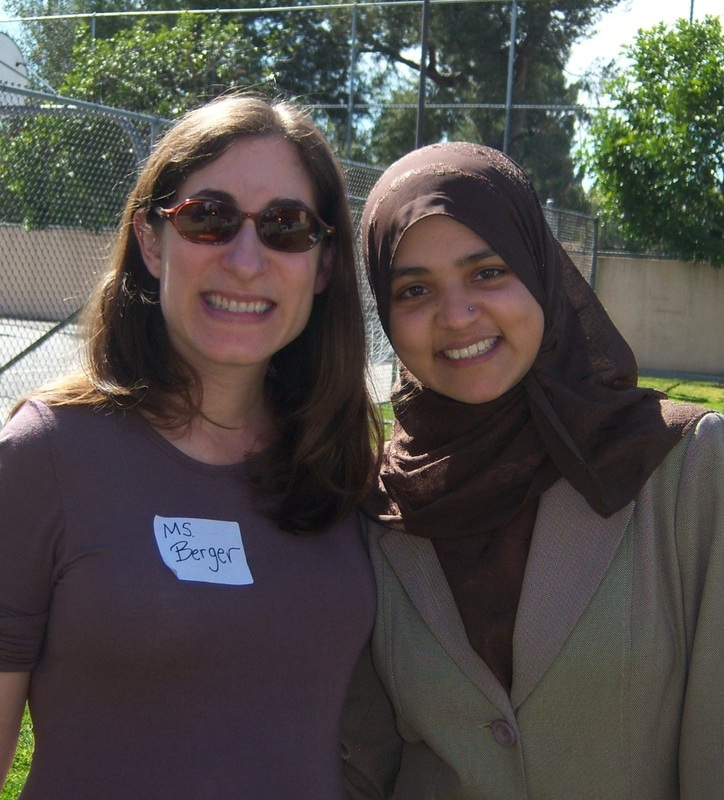 "Muslim – Jewish Exchange Days at Los Angeles Schools." Facing History and Ourselves. 8 June 2015. "Joining Two Faiths Together in One Synced Prayer." The Jerusalem Post. 7 June 2015. "US Muslims and Jews Pray Side by Side." Morocco World News. 2 June 2015. "US MUSLIMS, JEWS UNITE IN ONE PRAYER." Mirajnews. 1 June 2015. "US Muslims, Jews unite in prayer at Los Angeles beach." Iinanews. 1 June 2015. "Muslim and Jews Spent a Day of Prayer Together and The Result was Beautiful." Washington Weekly News June 2015. "US Muslims, Jews Unite in One Prayer." OnIslam & Newspapers 31 May 2015. "Jews, Muslims hold prayer sessions throughout LA." Al-Arabiya News. 31 May 2015. "Jews And Muslims Unite In Prayer Under Project 'Two Faiths, One Prayer.'" Egyptian Streets. 31 May 2015. "Two faiths, one prayer: Muslims and Jews come together to pray." The Express Tribune. 30 May 2015. "Two faiths, one prayer: Muslims and Jews come together to pray." Shafaqna 30 May 2015. "Muslims And Jews Spent A Day Of Prayer Together And The Result Was Beautiful." Huffington Post. 29 May 2015. "Muslims and Jews Pray Together in LA." Muslims for Allah 28 May 2015. "Different Faiths, Similar Faiths." Al-Agnabiya. 28 May 2015. "Muslims and Jews Unite Under Two Faiths One Prayer." Carbonated. June 2015. "Two Faiths one Prayer." Crowdrise. June 2015. "72 Virgins Group Brings Jews And Muslims Together Over Delicious Mocktails." Huffington Post. 14 May 2015. "NewGround Fellow Responds to Shootings in Garland, TX." Jewish Journal. 7 May 2015. "A groundbreaking day of prayer." Jewish Journal. 7 May 2015. "U.S. Muslims ask why their religion's condemnation of violence often goes unheard." Los Angeles Times. 9 April 2015. "Islamophobia: Discovering the Impact on More Than Just Muslims." Jewish Journal. 1 April 2015. "I miss his voice: Remembering Maher Hathout." Jewish Journal. 12 January 2015. "L.A.'s Jews and Muslims partner in 'twinning' events." Jewish Journal. 19 November 2014. "Promising Practice: Engaging Young Muslims and Jews in LA." Harvard University Pluralism Project. November 2014. "Standing Together On New Ground." Community Partners. 2014. "The Major Fund." California Community Foundation. 2014. "Do you believe in 'MAJIC'?." Jewish Journal. 11 June 2014. "Passover the Christian Extremists." Patheos.com. 22 April 2014. "Moving and shaking." Jewish Journal.10 April 2014. "The New Jews of LA: A Muslim-Jewish Partnership for Change Breaks New Ground in LA". Haaretz. 5 March 2014. "NewGround: The Story of Great Success." The Muslim Observer. 20 January 2014. "Small steps on NewGround for Muslims and Jews." Jewish Journal. 30 December 2013. "Accolades for Nasreen Haroon at Second Annual Trailblazing Awards." Pakistan Link. 21 November 2013. "A Jew and A Muslim? It's Not Just Talk." Jewish Journal. 31 July 2013. "Interfaith Teens Win Award." Jewish Journal. 29 May 2013. "Muslim and Jewish Teens Honored for Fighting Hunger." KABC Los Angeles. 28 April 2013. "Listening and Achieving the Impossible Dream." Interfaith Observer. 15 March 2013. "Muslim, Jewish Students Meet in Pasadena for Interfaith Exchange." Pasadena Sun. 7 March 2013. "Finding holy ground in Pico-Union." Jewish Journal. 6 February 2013. "Interfaith Interaction: Reimagining Jewish-Muslim Relations." Reform Judaism Magazine. 3 February 2013. "California Group Helps Young Muslims and Jews Find Common Ground." Voice of America. 17 January 2013. "Muslim-Jewish Camaraderie Is Alive and Well in Los Angeles." Action Now Network. 12 December 2012. A Muslim and a Jew Walk Into a Bar". Yediot America. (Hebrew Language). 11 December 2012. "Joshua Venture Group Names 8 Fellows To Receive $100,000 Each." JTA. 10 September 2012. "Joshua Venture Group Announces 2012-2014 Cohort." e-Jewish Philanthropy. 10 September 2012. "Two Generations of Pakistani-Americans in LA Observe Ramadan." KPCC 89.3FM. 17 August 2012. "At Joint Iftar Celebration, Muslim-Jewish High School Council Launched." Jewish Journal. 15 August 2012. "Temple and Mosque Collaboration Seeks to Become National Model." KPCC 89.3 FM. 8 June 2012. "Diversity Ground Breaks NewGround for LA Muslims and Jews." Neon Tommy. 6 May 2012. "How I Define a Mensch: Seven People on Unique and Holy Paths." Jewish Journal. 9 March 2012. "Muslims and Jews Break Down Walls, Find Common Ground." Jewish Journal. 11 December 2011. "A Bold and Brilliant Strategy to Build Working Relationships Between Young Professional Muslims and Jews." Action Now Network. 22 September 2011. "10 Years After 9/11- How have we changed?" Jewish Journal. 8 September 2011. "Muslims & Jews working together, huh?" Humanitarian Day. 29 April 2010. "Jewish-Muslim study course grounds interfaith dialogue in sacred text." JTA. 9 February 2010. "Speaking for Peace." Patheos.com. 4 November 2009. "Muslim-Jewish Text Study." Jewish Journal. 24 June 2009. "Jewish Muslim Dialogue Activist Killed By Drowning In Panama." Vos Iz Neias. 26 July 2008. "Promoting dialogue between faith traditions." Los Angeles Times. 17 March 2007. "City politicos celebrate launch of NewGround; Iranian Jews." Jewish Journal. 15 March 2007. "Breaking new ground: Jewish, Muslim groups' program encourages leaders to see the 'other' as friend." Jewish Journal. 18 January 2007.